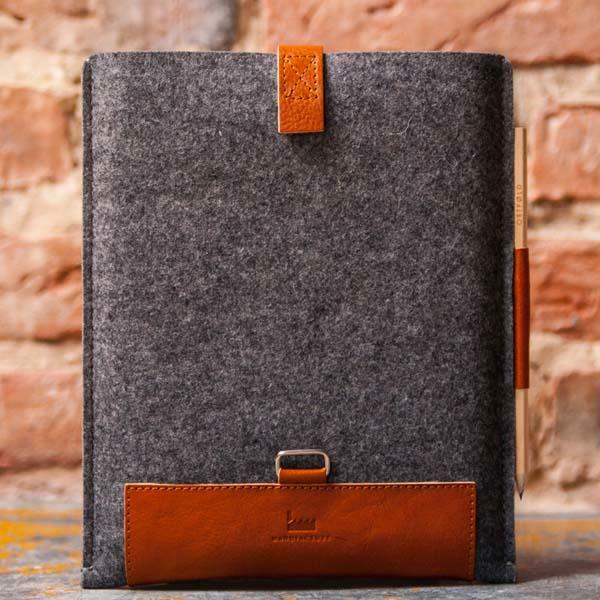 Need a vintage and stylish sleeve to hold your precious iPad Air? 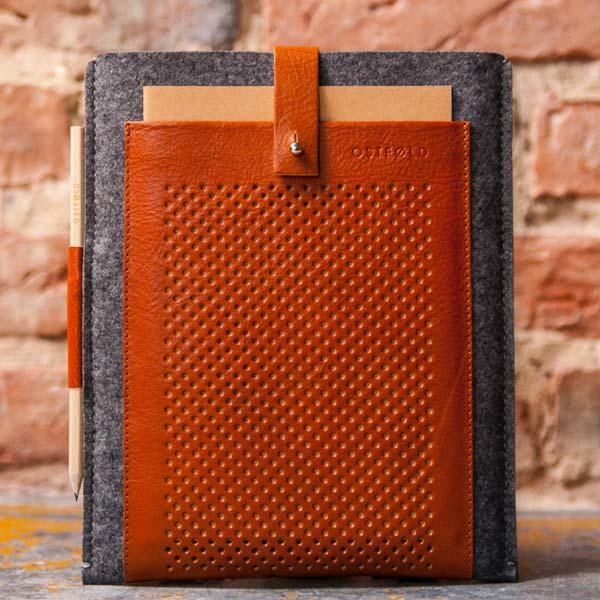 Have a look at Ostfold’s handmade iPad Air case, it may be suitable for you. This is a well-crafted protective case that works with iPad Air and iPad 4/3/2. As shown in the images, the iPad case sports an exquisite and elegant design, and is handmade in Silesia using German natural Merino wool felt and premium Italian vegetable tanned leather in order to provide you a fashionable way to protect your iPad from bumps and scratches, and its leather strap keeps your device securely in place when you’re on the go. Moreover, the iPad case ships with a wooden pencil and a 16-page Kraft paper cover notepad in its leather pocket perforated with 698 holes and pen holder. The handmade iPad Air case is priced at $86.56 USD. If you’re interested, jump to Etsy for full description.